Smilodon had 7 inch-long canine teeth and could open its mouth an astounding 130 degrees, almost twice the gape of modern cats. 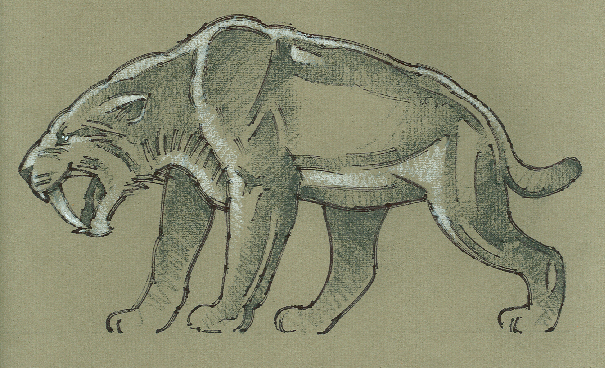 Smilodon is the State Fossil of California. How to cite: Saber-toothed Cat (Smilodon fatalis) Fact Sheet. c2009. San Diego (CA): San Diego Zoo Global; [accessed YYYY Mmm dd]. http://ielc.libguides.com/sdzg/factsheets/ extinctsaber-toothedcat.